There’s so much to be thankful for this November! 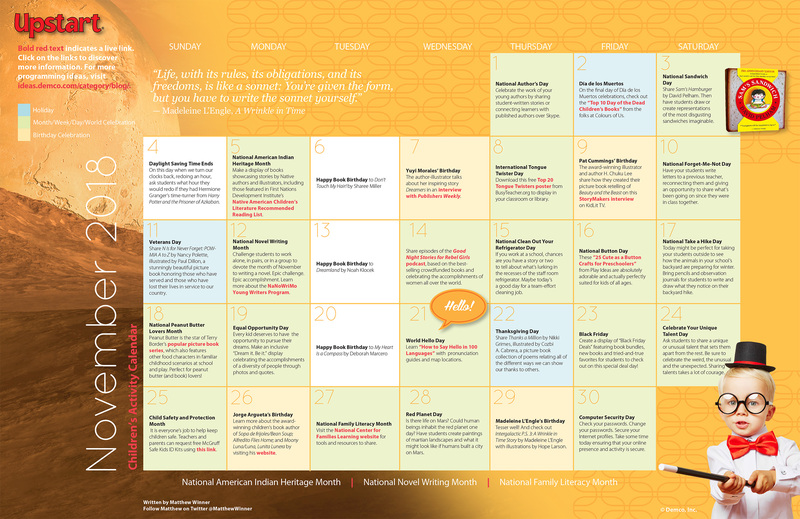 Not only is it National Novel Writing Month and National Family Literacy Month, it’s also the time to celebrate National Sandwich Day, Celebrate Your Unique Talent Day and much more. 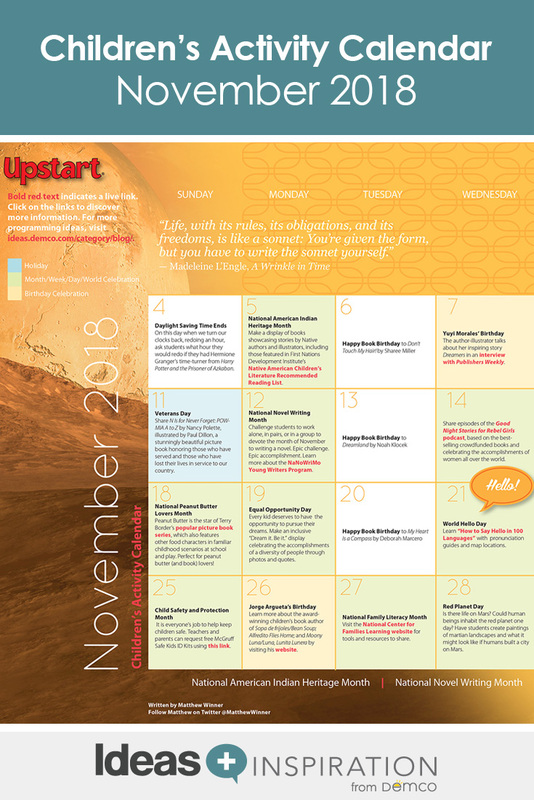 Matthew Winner offers fun children’s activities, book suggestions, craft projects and more to make it a November to remember in your library!